Do you want to be a leader? Or, if you’re already a leader, do you want to improve your leadership? Do you want to affect what other people do—to help them accomplish important goals? Do you want to point the way in your organization? Do you want to climb the promotion ladder to positions of higher authority and greater pay? Leadership will make these things possible. There is no such thing as a natural born leader, which is why leadership development is such a critical component of the world’s most successful companies. There's a process to becoming a leader, and leadership development enables individuals to identify and improve on qualities which can make them a great leader. A well designed process helps managers to develop their leadership qualities and become more productive. It is essential for corporations, not only at the top positions in a company, but also for up-and-coming leaders. Having a brilliant strategy worked out is critical, but will be meaningless unless you have the right leaders in the right roles to put the strategy into play. There are tough consequences to not getting it right. A study by Bain and Company shows that companies that wholeheartedly practice leadership management gave their shareholders a 10% per year better return than those that had done nothing, and 5% per year better return than the firms that had made an average effort. Wolf Management Consultants, LLC provides the informed guidance, functional expertise, and practical solutions needed to take full advantage of opportunities and overcome challenges. We integrate knowledge, tools, and techniques from our expert consultants, customize the solution, and apply it to the particular challenges our clients face. We bring an objective perspective and a wealth of experience to the decision-making process. For over 15 years, hundreds of clients have trusted us to equip them with the consulting, training, and processes they need to realize their vision of success. NOW BRING THE SKILLS TO LIFE WITH TRAINING!! 360° Feedback & Development "Using Feedback to Build Individual and Collective Capabilities"
Knowledge Management – Protect Your Investment! Leadership Development and Coaching "Maximizing Leadership Skills to Produce Results"
Performance Management Systems "Managing Performance to Achieve Business Goals"
Dress for Success: Your Professional Image – It Counts! Generational Differences: What’s Wrong with These Kids Today? Managing Projects - How to Manage the Project Life-Cycle? Project Design - How to Manage Your Principal’s Expectations? Social Styles: Use Your Interpersonal Style to Connect With Your Clients! Leadership insights in your inbox. 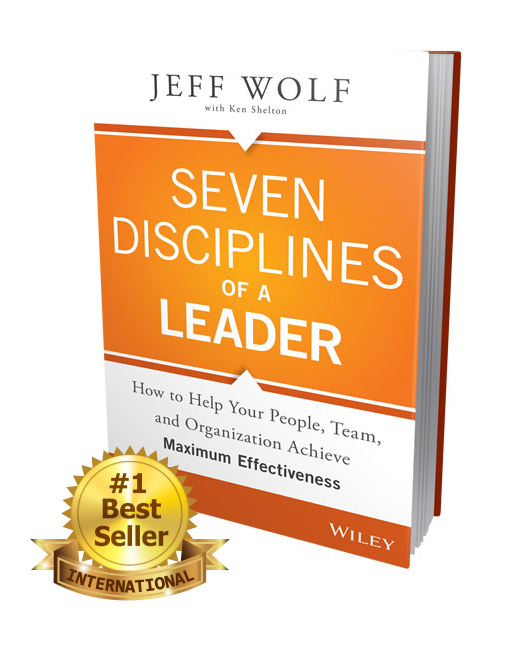 International bestselling author Jeff Wolf is now available for your next meeting, conference or convention to provide a high-energy presentation filled with strategies and techniques attendees can immediately apply to improve their skills. © Wolf Management Consultants, LLC. All Rights Reserved.